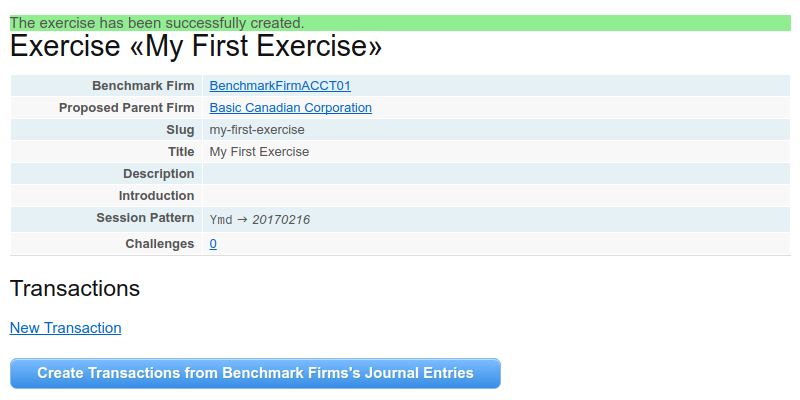 It is now possible to create several sections of journal entries, and assign each journal entry to a particular section. Each section has a name, a color, and an assigned status of visibility. Of course, when a section is set to invisible, none of the journal entries belonging to it will be shown, either in the journal or in the statements or ledger. The journal now has a new column, for the section. In the sections page, you can set the color and toggle the visibility of each section. When you prepare or edit a journal entry, you can decide to which section it belongs to. 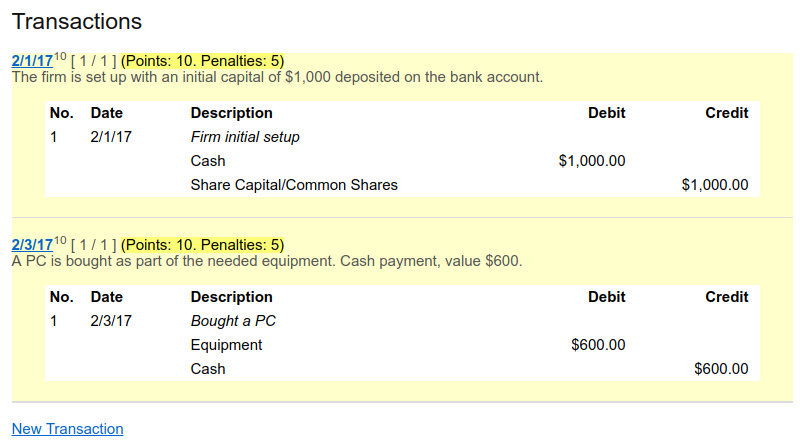 with the same firm, you can have the journal entries of different years - instead of forking the firm. This is still an experimental feature: if you happen to experience a bug or want to suggest an improvement, please let us know. 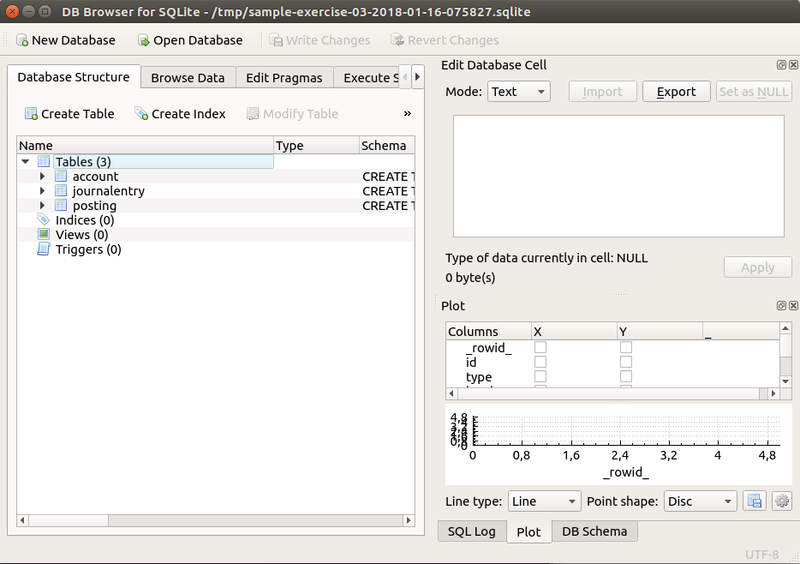 Do you want to try to execute an SQL query on the database of your firm? 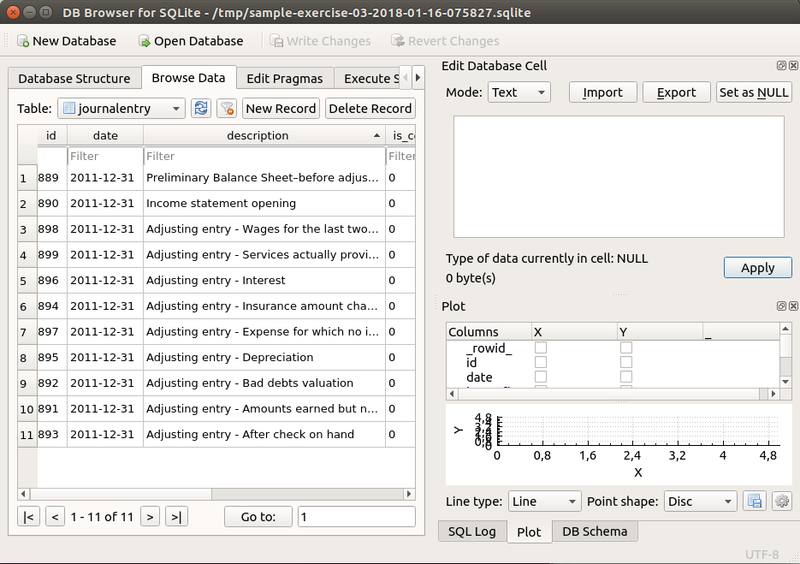 Now you can: it is possible to export the data of a firm you own into a SQLite database. 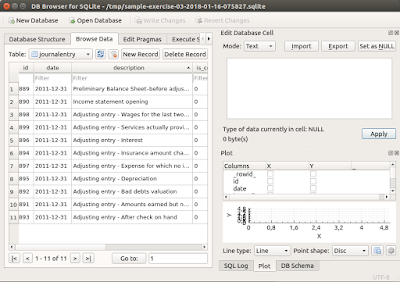 You can easily manage the database offline with a program that manages SQLite databases, like, for instance, SQLiteBrowser, available as free / open source software and working for most platforms. Analyze the structure of the tables to find out the meaning of the fields. 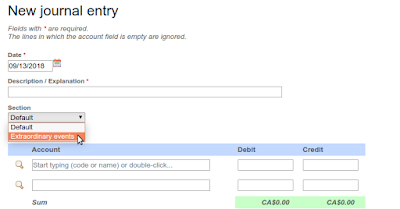 Create an SQL SELECT query that shows the journal entries, with date, description, names of the accounts, and amounts. Create an SQL SELECT query that shows the ledger of a specific account. 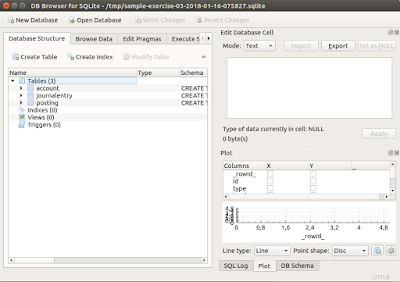 Create an SQL SELECT query that shows the trial balance. In some cases, when you prepare a journal entry, you need to specify better some information concerning an account that is too generic. Think of Accounts Payable, for instance: if you have several customers, how could you keep track of the amount you owe to each of them? 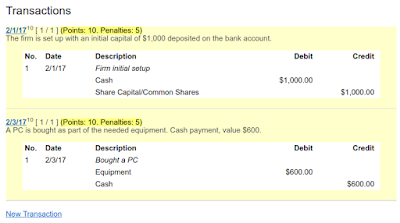 Welcome subchoices, a new feature of LearnDoubleEntry.org. 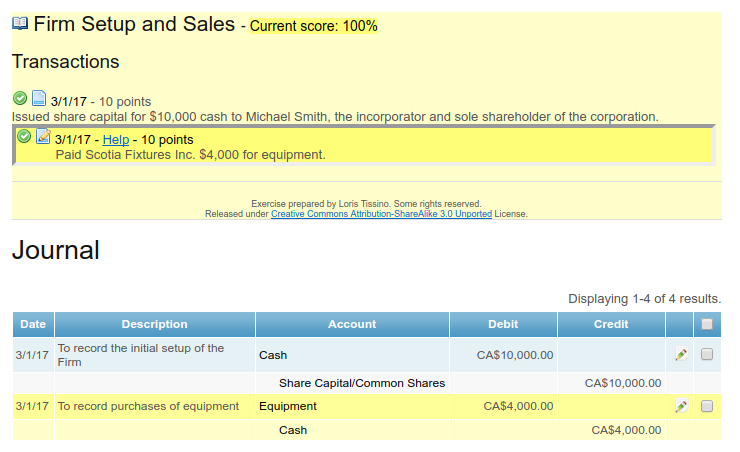 Whenever you are editing a journal entry, you can add a @ symbol after the name of the account. If you do so, when you press the tab key you'll be offered a field where to write a subchoice. 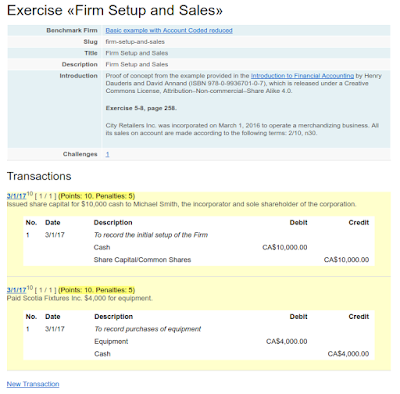 It is easy to prepare an exercise for your students: just login to LearnDoubleEntry.org and start managing a firm with all the correct journal entries. This will be the benchmark for your exercise. 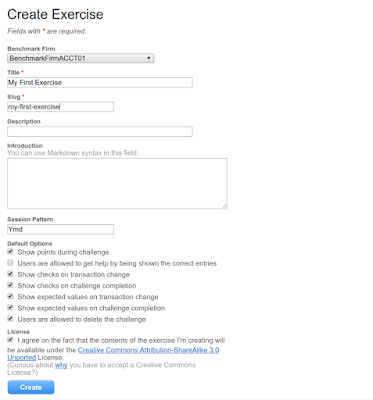 When you are done with the firm, click on "Challenges", "Manage Exercises" and then "New Exercise". 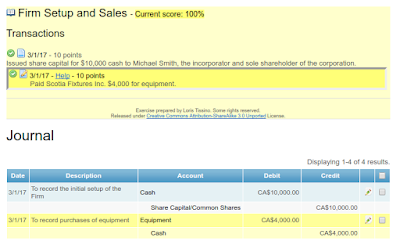 Fill in the details of the exercise, and select the firm that you prepared as benchmark. 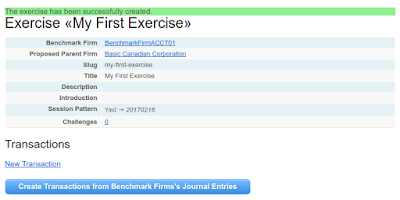 After saving, create the transactions (operations to be recorded on the journal) by clicking on the button "Create Transactions from Benchmark Firm's Journal Entries" to import them from the journal entries (you will automatically invited to the challenge). 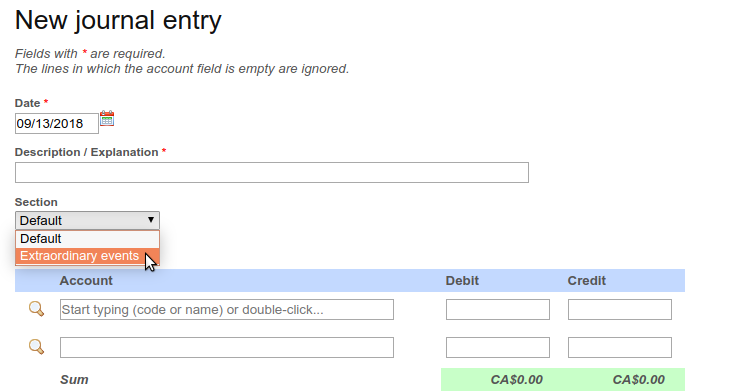 Then, edit the transactions at will, giving enough information to your students to prepare the entries in the right way. You can add hints for each transaction, if you want. 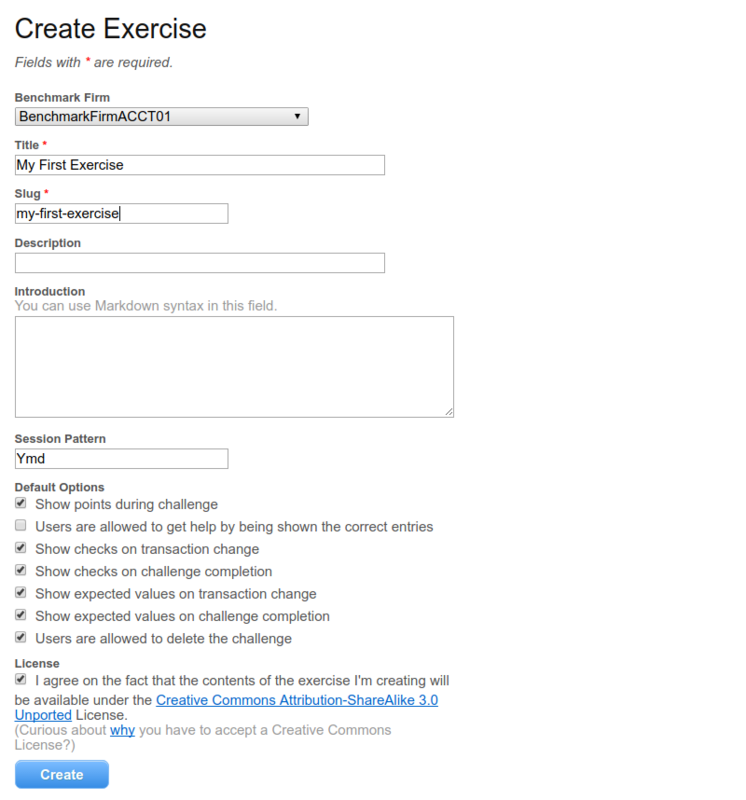 You can use Markdown syntax for the descriptions and the entries. With the new release (1.9) of DELT, which is now up and running on LearnDoubleEntry.org, there is an automatic process that cleans up stale firms. Firms are declared "stale" when they are not used or seen (in the public view) for more than a year three months. After one month, they are actually deleted. The only exception is for bloggers and teachers that want to keep their firms available forever (contact us in this case). With the new release (1.9) of DELT, which is now up and running on LearnDoubleEntry.org, it is possible for teachers/instructors to prepare exercises for their students. 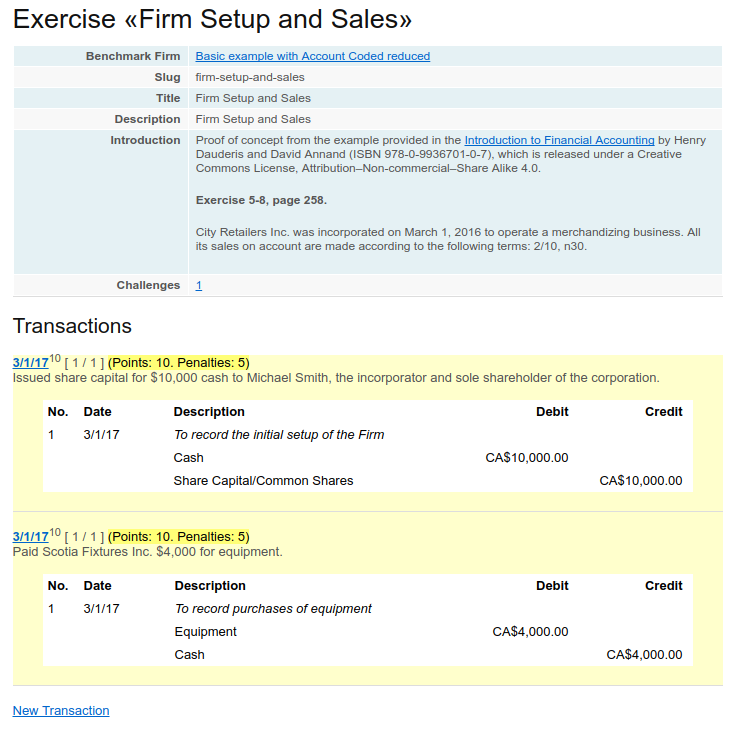 An exercise consists of an introductory text, followed by a series of transactions that the student must record using one or more double entries in the journal. An exercise also has a benchmark firm with the entries considered valid. Teachers can challenge their students to go along all the transactions, record them in their journals and have them checked, one by one, against the benchmark. Since every transaction has a certain number of points, during (or after) the challenge students can see their success rate. Please note that in the journal each entry must be linked to the transaction from the exercise, in order to be correctly compared with the benchmark. Teachers are offered a report for each session. If you want to accept a challenge, you can try the one presented here (just follow this link after logging in). If you are a teacher and need information about how to setup an exercise, feel free to contact us. Thanks to the great team of TuxFamily.org, free hosting for free people, and taking advantage of Let's Encrypt technology, our site runs since today with full HTTPS support. You can check the class-A HTTPS certificate at QualysSSLLabs site. Simple, unencrypted HTTP is now disabled. Simple, unencrypted HTTP is still available, because old browsers do not recognize the validity of certificates emitted by the "Let's Encrypt Authority X1". Anyway, you are encouraged to use HTTPS connections whenever possible. Should you experience any problem, please let us know by leaving a comment below.